First, Yelp makes it clear, you cannot ask for reviews. I mean you can, but they don’t want you to. If they catch you asking for reviews, or even worse, paying or offering incentives for reviews, your profile page will get a big cheater warning that pops up when potential customers look at your page. So…the end. But there are some things you can do to get reviews and bump some of those filtered reviews out of seclusion. Like all things millennial, Yelp cares about how many friends you have and your connections. Following a filtered yelper…heck…having everyone you know to follow that filtered yelper, may be just the thing to get them into the recommended review section. In addition to following them, full out stalk them. Send them a message, respond to their review, vote their review useful or funny. Gee golly (ok it’s getting cheesy) have everyone in the office vote their review useful or funny. This is intense—I know. The truth is that you should really be responding to every comment left about your business—good or bad. Good reviews are “thank ya very much” and bad reviews (when possible) should be “let me fix that.” Also, please, if you send messages be checking for messages. I can’t tell you how many times a business sent me a message, I wrote back with a question, and never got a response. They ghosted me! 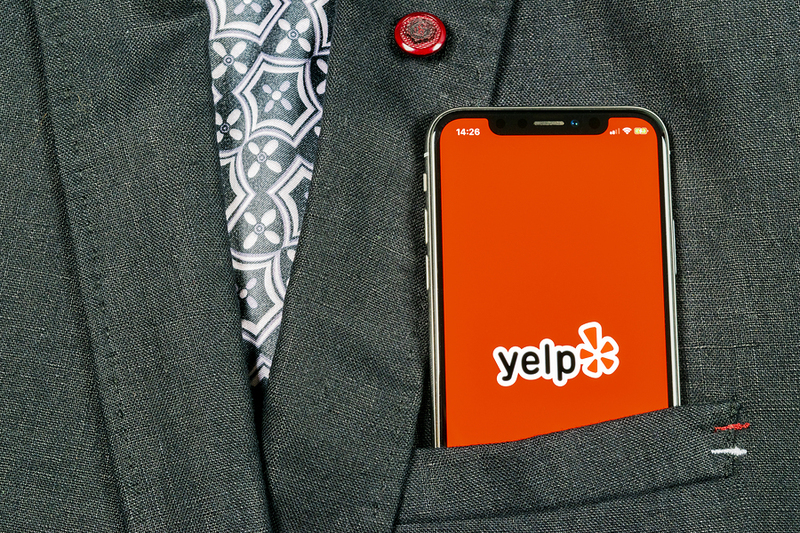 This would be awkward, imho, but you could ask that filtered yelper to add a profile picture, “check in” to businesses more often or leave reviews for other businesses. These behaviors show Yelp that the person is alive and engaging the world. Their algorithm will notice this and may move that filtered review into the recommended review section. Be ready to potentially be answering questions like “how do I add a profile picture . . . connect to Facebook . . . check in?” Especially if the person on the other end of the phone is over the age of 35. You are on Yelp. No point being there if no one knows. While you can’t ask for reviews you can encourage people to check you out on Yelp. At the end of emails, on adverts, at your store, on your trucks, your business cards, website, all of it, include the Yelp badge and a call to action “Check us out on Yelp.” If you know you did a good job making sure your employee is telling them to “check us out on Yelp.” Yelp offers linked badges that when clicked go right to your Yelp business profile. Do you have a Facebook page? When someone leaves a good review…say thanks and then just casually/awkwardly leave the Yelp badge. It’s like “hint hint” and you don’t break the rules. Lastly, again without directly asking I guess, put your friends and family to work and remind them you are on Yelp, and that people who care about you and the business leave reviews on Yelp. Then just stare them down till they get it. BUT. . . remember . . . never pay for a review and never ask for a review. Hint, put the Yelp logo on your wall and shine a light on it, get a tattoo on your forehead, scream it from the mountains…but only for attention and without directions. Ya’ get me? It may seem like a lot of work but its worth it. Raising that Yelp star rating just a bit literally computes into a bump in revenue for most businesses.